Lt General John Burgoyne and his team of experienced generals - Phillips, Hamilton, Fraser, and Riesedel - set out from Canada with an army of nearly 8,000 combatants and more than a thousand civilians in June 1777. For land transport, there were hundreds of carts and wagons, and for water, 30 armed boats, 300 batteau and other assorted craft. The English fighting forces counted some 4,100 infantry regulars, organized into 3 brigades of 6 regiments of Foot. None of the units had seen combat for more than a decade, but there were many veterans among the rank-and-file and officers. Estimates vary about its quality, but the Expeditionary Army fought heroically under the worst possible field conditions and yielded only after all hope was lost. The Allied German component numbered some 3,200 men, organized into 3 brigades, each built around an infantry regiment, and supported by grenadier and light infantry battalions, a rifle company, and dismounted dragoon regiment. It, too, was highly professional, motivated, and well-led. Burgoyne’s forces included 250 Canadians and Loyalists, as well as 400 Indians (all useful as scouts and spies), as well as an extensive artillery train of 52 cannon, and baggage, animals, and supplies. 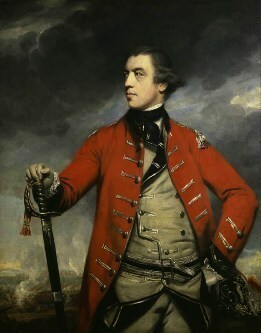 By the time Burgoyne reached Saratoga, he had lost nearly 25% of his force and all possibility of reinforcement, or supply from the north, had been lost. Facing Burgoyne on the American positions at Bemis Heights, MG Horatio Gate’s Northern Continental Army numbered about 8,000 men. Consolidated after the strategic retreat from Ticonderoga and the relief of Ft. Stanwix, the army was organized into 6 Continental brigades, made up of twenty line regiments, and reinforced by state militia units from NY, CT, and MA, as well as Morgan’s Independent Rifle Corps, a reinforced regiment of Connecticut Continental Dragoons, and 22 cannon of various types. During the period between the two battles the Northern Army was continually reinforced and by October 7, numbered more than 12,000 men. It was a disciplined force that was able to face its British and German adversaries on equal terms.